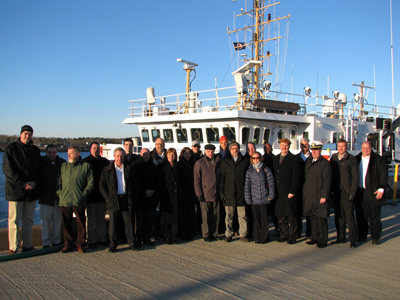 Meeting participants stand in front of the Ferdinand R. Hassler — a NOAA survey vessel, in Portsmouth, Maine, January 30, 2014. "I really enjoyed working with you and look forward to our next meeting. You are fantastic!! Everyone was singing your praises."